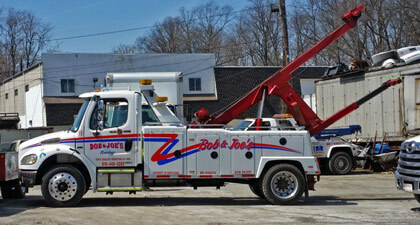 Since 1964 Bob and Joe’s of Havertown, PA has been meeting all our customers’ towing needs. We do all types of tow jobs including custom car towing. 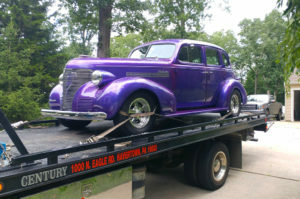 We can transport your hot rod, muscle car, dragster, race car, or other custom creation with the caution and care it deserves. We love cars and know that special care needs to be taken with customs. If you breakdown or are in an accident with a custom car we have the expertise to recover the vehicle. Our operators put the utmost care into handling our customers’ cars and that includes exotics and customs. We will get your vehicle off the road without damage and get you safely home or to a repair shop. Next time you need to transport your custom give us a call. We offer car transport over long distance. We can get your car to the next car show, race, or other display without any headaches. We make the towing process painless and simple.